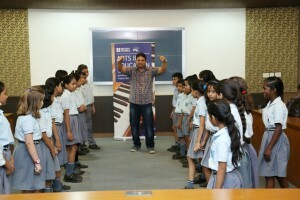 Posted in Arts, World Voice project and tagged Navyug School, NDMC, New Delhi, Trainers, workshop, World Voice Project on September 9, 2015 by Debesh Banerjee. 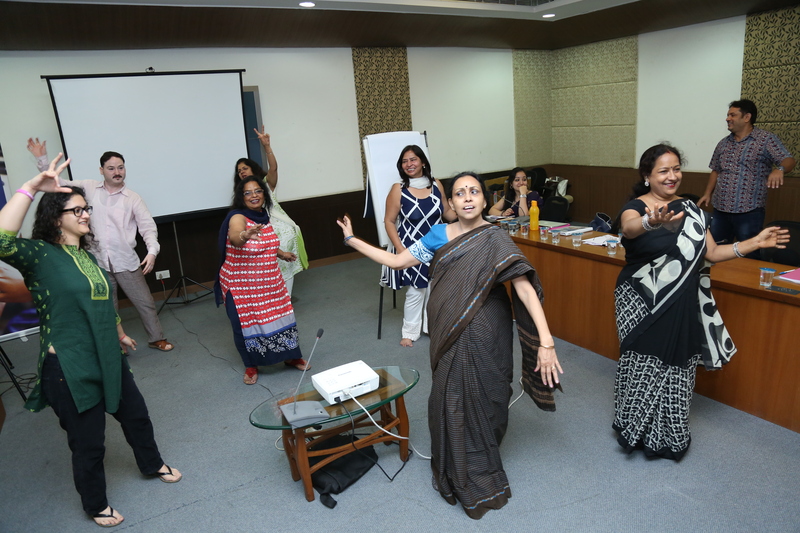 The third workshop for the New Delhi Municipal Corporation and Navyug teachers was held from 26 August – 28 August, 2015 at the NDMC Convention Centre, New Delhi. The workshop introduced the World Voice Project (W.V.P.) and the Drama in Classroom Project (D.C.P.) to a new batch of 30 teachers. In addition to being a top-up training for eight teachers who had attended previous WVP workshops (held on 1 October – 4 October, 2013 and 10 February – 12 February, 2015). 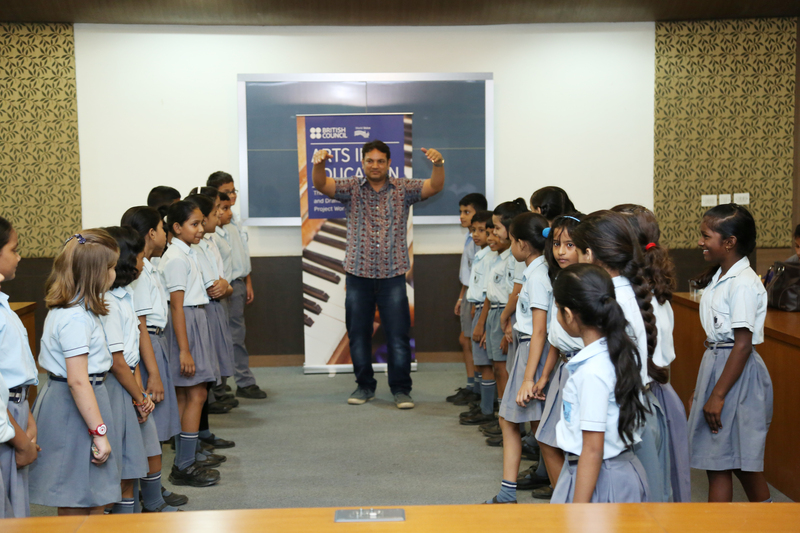 The workshop presented ‘music’ and ‘drama’ as additional tools to promote wider curriculum learning. The participants learnt new warm-ups, songs, drama/song teaching techniques, lesson-planning and ways of integrating WVP/ DCP with the curriculum. The discussions and interactive sessions were particularly interesting as participants (including, primary school subject teachers, music teachers, art teachers and special education teachers) raised thought-provoking questions that highlighted the relevance and effectiveness of an art integrated teaching pedagogy. While the session with 30 students from class five demonstrated ways of introducing WVP and DCP in classrooms and was appreciated very much. It was heartening to hear the students sing Daw Hyfryd Fis (a WVP Welsh song) which was learnt in less than 10 minutes and curriculum linkages were established through it. The workshop concluded with the participants showing an eagerness to apply the newly acquired skills in their classrooms. Megh Malti: As an art teacher, WVP and DCP could be used to establish a friendly rapport with students and encourage them to think freely as well as, ‘creatively’..…. She felt she had learnt a lot during the workshop and could use it to make her subject (drawing) even more interesting! Pooja: As a physical education teacher, WVP singing games could be used to engage more effectively with students. In sports or any other physical sport, quick reaction time….played a crucial role in determining the quality of the player and WVP warm-ups as well as, singing games could be used to facilitate this…. Besides, during her arrangement / substitution classes, she could use DCP to teach EVS and other subjects too! …..